Planetshakers, a movement that started out as a yearly conference and evolved into a church in Melbourne, is releasing a television show called Planetshakers TV. Planetshakers TV episodes will span half an hour and will feature Christian themes with the goal to "empower generations to win generations." New episodes will be featured every week. The show will be hosted by Pastors Russell and Sam Evans from Planetshakers. Russell and Sam Evans are the Senior Pastors of Planetshakers City Church in Melbourne. The couple's mission is to see "each person empowered by the Holy Spirit to reach their God-given destiny." Viewers can catch the show on networks such as Australian Christian Channel, Flow TV, Clear TV, UCB UK, TBN Africa, JUCE TV, Family 7 - The Netherlands, Kanal 10 Sverige, U-Channel and God TV. Planetshakers episodes may also be viewed for free online by visiting Planetshakerstv.com. Planetshakers City Church used to be known as Melbourne City Church, a Pentecostal Christian church affiliated with Australian Christian Churches, the Assemblies of God in Australia. Russell and Sam Evans are the pastors. The church has almost 10,000 members. 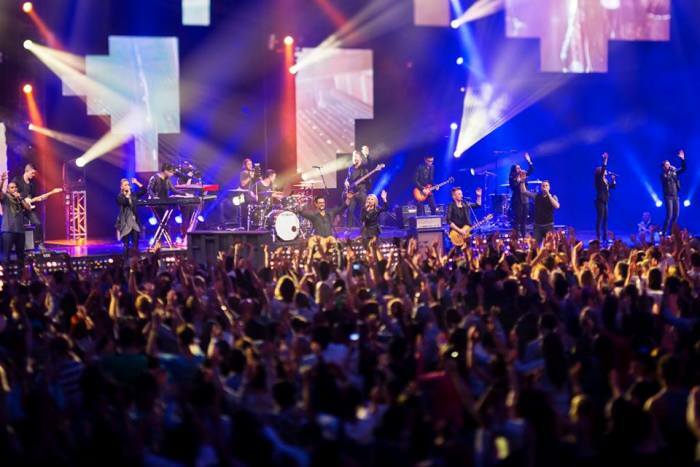 Planetshakers' youth program is currently being studied by Catholic and Anglican churches because of its success.